JAM 2019 (Joint Admission Test for M.Sc) is a gateway to various professional courses such as M.Sc (2 years), M.Sc-PhD, M.Sc-M.Tech, Joint M.Sc-PhD, and many other Bachelor degree courses. IITs & IISc conduct this national level examination in the rotation bases. JAM is held in the month of February every year. IIT JAM 2019 will be organized by IIT Kharagpur. The interested applicants can check out the important details of JAM 2019 from this article given below. IIT JAM 2019 Application Process has from 5th September 2018. Candidates can Click Here to Apply for JAM 2019. SECTION Section-A: 30 MCQ, Section-B: 10 MSQ, Section-C: 20 NAT. For M.Sc. – Candidate must have Bachelor’s degree (Geology) and any two subjects among Chemistry, Mathematics, and Biological Science Physics. Also, the candidate must have passed 12th with Math as a mandatory subject. For M.Sc. in IITB –Candidate must have passed graduation with both Mathematics and Physics for two years and at least one out of these two for three years. For M.Sc. Biotechnology in IITB and IITR – Candidates must have done graduation degree in any of these (Science, Agriculture, Pharmacy, Veterinary, Engineering, and Medicine) branches. For M.Sc. Chemistry in IITG, IITK, IITB, IITD, IITM, and IITR – Candidate must have done a graduate degree in chemistry and also candidate must have passed 12th with mathematics. For M.Sc. Mathematics in IITB, IITD, IITK, and IITM – Candidate must have done graduation with Math as a subject for minimum two years or four semesters. For M.Sc. Physics in IITB, IITD, IITG, IITK, IITM and IITR) or Joint M.Sc. / PhD (Physics) in IITK –Candidate must have done graduation with Physics for minimum two years/ four semesters and also must have done graduation with math for at least one year or two semesters. For Joint M.Sc. or Ph.D. in Geophysics at IITK – Candidate must have done graduation with any two subjects from Physics, Mathematics and Geology minimum 3 years and 6 semesters. For M.Sc or Ph.D. (Dual Degree) in IITB – Candidate must be a graduate in any one of these subjects Physics, Chemistry and Math for minimum two years and four semesters. IIT JAM 2018 application form is filled and submitted through online mode. Candidates have to register first by entering their name, valid Email ID, Mobile Number and Password on the website. After successful registration, candidates will receive an Email containing their login credentials i.e. the enrollment ID. After login through the generated id, candidates have to fill their personal, qualification & academic other details in the application form. Upload the scanned images (photograph, signature) and SC/ST/PwD certificates (if applicable). The fee can be reemitted through online mode only. Review your form before final submission. The fee payment can be remitted through DR/CR card/Net Banking. Exam Mode: Online mode (Computer Based Test). No. of Question: Only 60 questions will be asked in the examination. Sections: The question paper is divided into three sections. Total Marks: The question paper carries 100 marks. Negative Marking: No negative marking for Section B & C.
Once the results for JAM 2019 will be declared, the qualified applicants can apply online for admission through the official portal. The applicants will be eligible for admission to any of the corresponding academic course of IISc & IITs. On the basis of qualified test papers, the applicants can apply for one or more academic courses which covered under those set of papers, subject to fulfilment of the minimum education qualification (MEQs), Eligibility Criteria (ERs) of the admitting institutes. The syllabus is divided in three sections, i.e. Section A, B & C.
The syllabus will comprise of various topics such as BT (Biotechnology), BL (Biological Sciences), GC (Geology), MS (mathematical statistics), MA (Mathematics) CY (Chemistry) and PH (Physics). 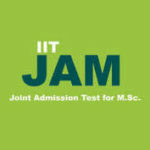 IIT JAM 2019 Admit Card will be available via online mode through the official website. Admit card contains details like Candidate’s Name, Photograph, Signature, Registration Number, Code of Test Pater, Exam Center, etc. It is to be noted that the Admit card will not be sent by post or Email. Don’t forget to bring original & valid photo identification on the examination date. Candidates are not permitted to appear for the exam without valid admit card. 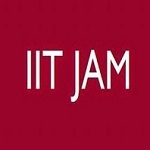 The IIT JAM Result 2019 will be released in the last week of March 2019. The result will be published via online mode through the website. Students can check the result by entering the necessary details in order to check the result. Separate AIR (All India Rank) rank list will be prepared. The merit list will be prepared as per the marks scored by the candidate in the examination. Merit list includes all the shortlisted candidates which are eligible to apply for admission. Candidates have to apply for admission by filling the application form through the website. In the application form candidates have to fill their preferred preferences, marks obtained education details, etc. Seats will be allotted to students as per the preferences filled, availability of seats and rank. After seat allotment, candidates have to visit to the allotted college for admission procedure. Applicants can fill the application form through online mode. Only one Email ID can be used for one application form. The application fee is different for different categories which is mentioned above. Fee payment can be done through online mode, i.e. DR/CR Card/Net Banking. No, a virtual calculator will be available on the computer screen for calculations. NRI, foreign candidates can apply for IIT JAM 2019 Exam. IIT JAM 2019 is scheduled to be held in 2nd week of February 2019. The syllabus will be based on these topics: BT (Biotechnology), BL (Biological Sciences), GC (Geology), MS (mathematical statistics), MA (Mathematics) CY (Chemistry) and PH (Physics). No negative making will be there in Section B & C.
Only objective type of questions will be asked comprises of 60 questions. Hi! I am doing Bsc in biotechnology and I am from PCB stream in 12 th. Am I eligible for MSC IN BIOTECHNOLOGY? Thanks providing all details for iit jam 2019 exam. I am doing b.tech in civil and I have completed four mathematics courses . Can I apply for jam 2019 exam?? I want to preparation iit jam chemistry what will do? Regarding the syllabus, are we to prepare for all the streams even when we’ve applied for a single stream. For example: I majored in physics at UG Level. So, am I supposed to be learning all of the above mentioned subjects?